Looking for the perfect gift for the men in your life? I have several different men to buy gifts for this year including my dad. My son always love to pick him out something special and unique. 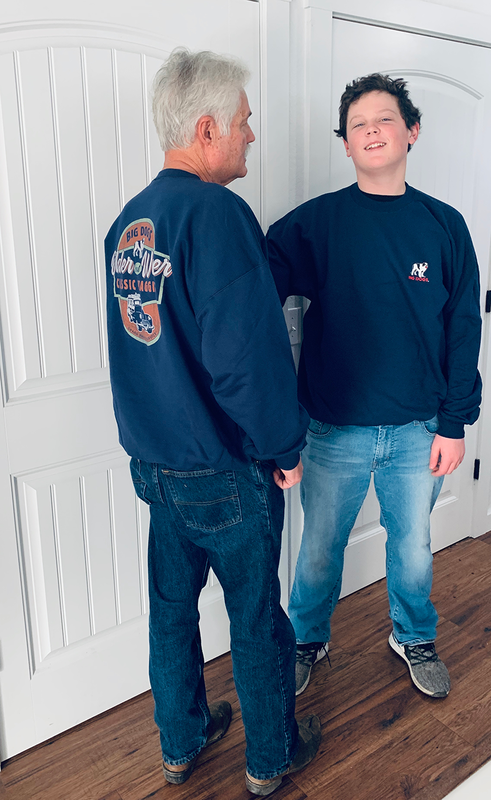 When I came across Big Dog Sportswear I knew it would be the perfect gift for him. 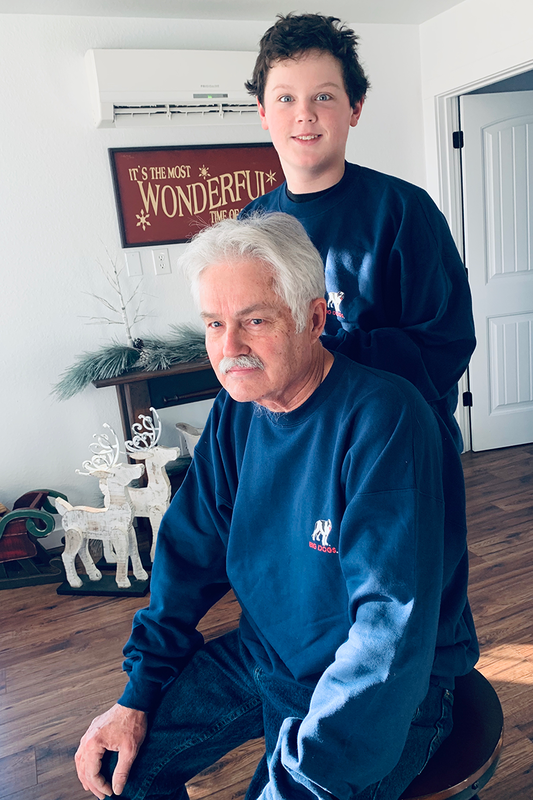 Shop Big Dogs Online I thought it would be really fun to order my son a Big Dog Sportswear sweatshirt as well as my dad for them to open together. It will be a fun tradition we can start and they can get a new Big Dog Sportswear gift every year. 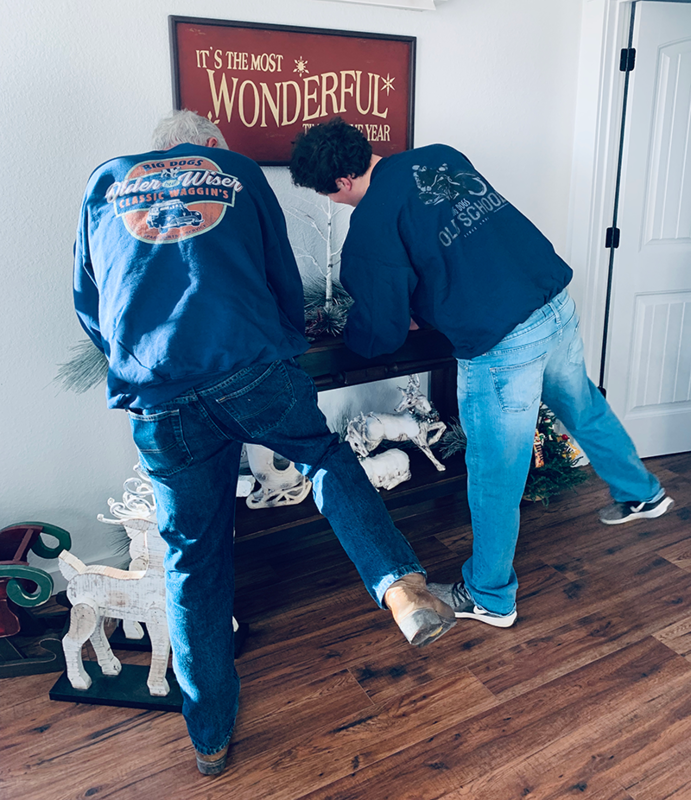 My son and my dad (his Pa) spend a lot of time together so it’s fun to start a new tradition just for them. It meant a lot to each of them to open such a unique and nostalgic shirt. Big Dog is nostalgic. Big Dog is American. Big Dog is YOU. When they put on their sweatshirts their silly personalities really started to shine. They love acting silly and love a good photo shoot. They even had to hike their legs like a dog. 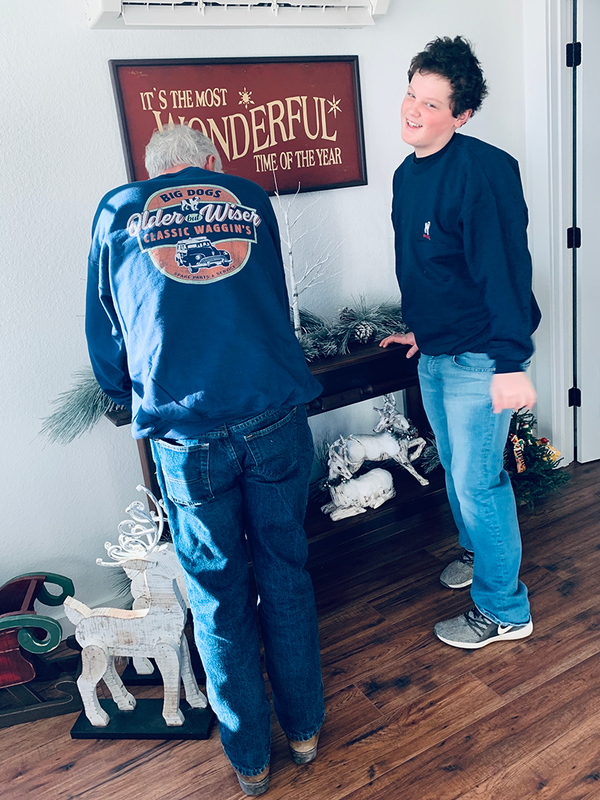 Not only is Big Dog Sportswear perfect for my dad but it can be the perfect gift for everyone on your list. You’ll find a great selection for everyone including men, women and children of all ages! It’s so easy to shop Big Dog Sportswear online. They have a huge selection including t-shirts, hooded sweatshirts and accessories. You can find so many unique graphics that will be the perfect fit for everyone. 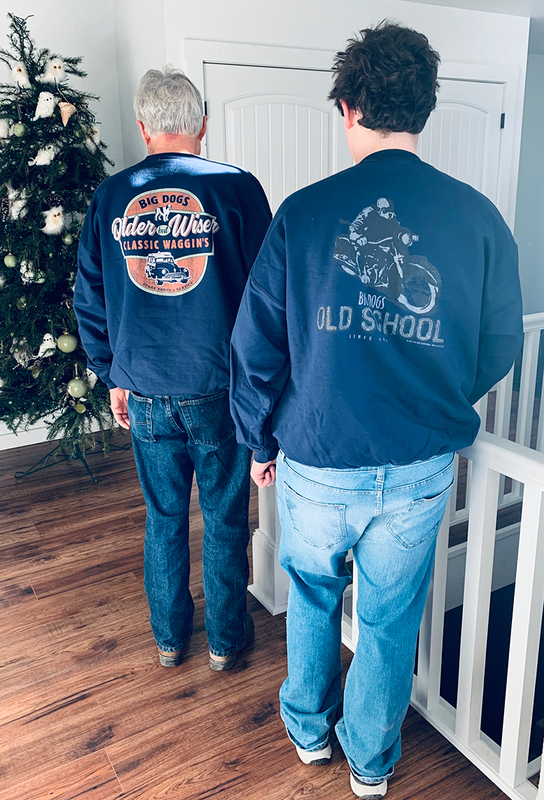 Although I love a hooded sweatshirt, I selected the old school sweatshirts to gift them. My dad isn’t fond of hooded shirts so I knew he would love this. The first thing he mentioned when he put it one was how soft it felt. The quality of the shirts is fantastic. They both loved them and wore them all day. My dad actually wore Big Dog shirts when I was younger. He’s so glad we’ve brought them back in his life! There’s still time to get in those last minute Christmas orders! Order online at bigdogs.com to get your gifts today! Shop Big Dogs Online Are you ready to run with the BIG DOGS this holiday season? 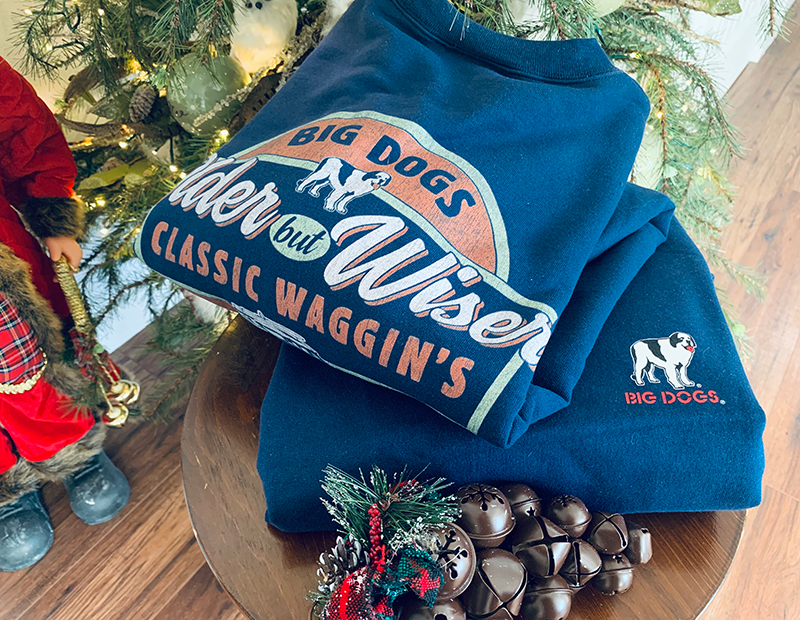 Big Dog Sportswear online for a nostalgic, American gift for everyone in your life and join the #BigDogClub today!